This isn’t my typical exercise and fitness post. I haven’t even posted in a long time, but for some reason (maybe it’s the Global Leadership Summit I attended today) I felt compelled to write. Every now and then, our hearts need some exercise too. Maybe someone out there will be touched by this. So tonight, my seven year old daughter made a choice that she shouldn’t have. She had been warned that if she made this particular choice, she would have her Kindle taken away. This upset her a lot because she loves to listen to “Adventures in Odyssey” to fall asleep. She cried the entire way home. After we got home, I got down on one knee with her and we talked about it. I asked her what I should do in this situation. She looked at me, with tears filling her eyes, and told me that I should take her Kindle even though she didn’t want me to. She then burst into tears. I had a choice here. I could take the Kindle and follow through with the consequence I had put forward earlier. Or I could show mercy. I looked in her tear-filled eyes and told her that I was so proud that she did the right thing by telling me I should take her Kindle even though it hurt her heart. She could have easily told me that she didn’t deserve a consequence and that I should give her a second chance. Or she could have told me I could have taken something else away that wasn’t as important to her. But she didn’t. She told me exactly what she deserved. And it hurt her…a lot. I look at that girl with so much love. It reminded me so much of the love that God has for me. I deserve a consequence. We all do. We are all born into sin and deserve a consequence. I asked her if she ever heard of “mercy”. She said she kinda did. God showed us mercy by sending His Son to die on the cross so we didn’t have to. We deserve a consequence but God loves us so much that he didn’t give me the consequence I deserve. Instead, He died for me so I didn’t have to. It takes a lot of love to do that! I decided that I wasn’t going to take the Kindle even though that’s what she deserved. I told her we should always do the right thing even if it hurts our heart. I told her that it doesn’t matter if she is 7, 8, or 30, I always want her to do the right thing. I always like to catch my kids doing good things rather than catch them doing something wrong. I don’t know if I have this parenting thing figured out or not. I do know one thing though. I feel like I taught her more tonight about a father’s love and God’s love than I ever could have by giving her a consequence. I know that she is going to bed knowing that her dad loves her and that God loves her so much that He is willing to show mercy and grace even when she doesn’t deserve it. To me, that matters more than anything. 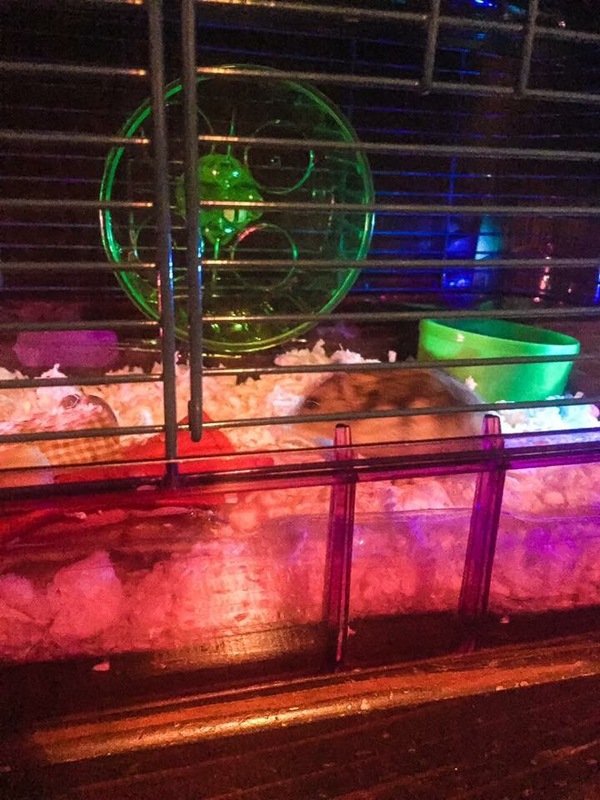 About two months ago, I finally caved and let me daughter buy a hamster. We allowed her to save her own money and if she saved up enough, we would contribute half towards getting her a hamster. We tried everything to distract her from this idea. Yet my daughter was persistent and wouldn’t let it go. So she smiled at me with those hazel eyes and said “daddy, will you take me to get a hamster tonight?” I couldn’t say no. The girl has me wrapped. I’m aware and I don’t apologize for it. I made her aware that a hamster is a big responsibility and she will be the main person that takes care of him. She was ok with this. Enter Nibs. Nibbles, or Nibs, as she called him was a dwarf Siberian hamster. She took really good care of him. He had survived our cat twice. Two times my daughter forgot to shut her bedroom door and the cat knocked the hamster cage off her dresser. Both times we found Nibs unharmed. I really think he was some type of ninja hamster or possibly a 007. She loved that thing to death. By the way he let her hold him all the time, he loved her too. As I covered the little guys body, my daughter had a little fake flower that she brought with her to put on his grave. We stuck the flower in the ground and headed back inside. She found a rock that she wanted me to paint with nail polish as a headstone. 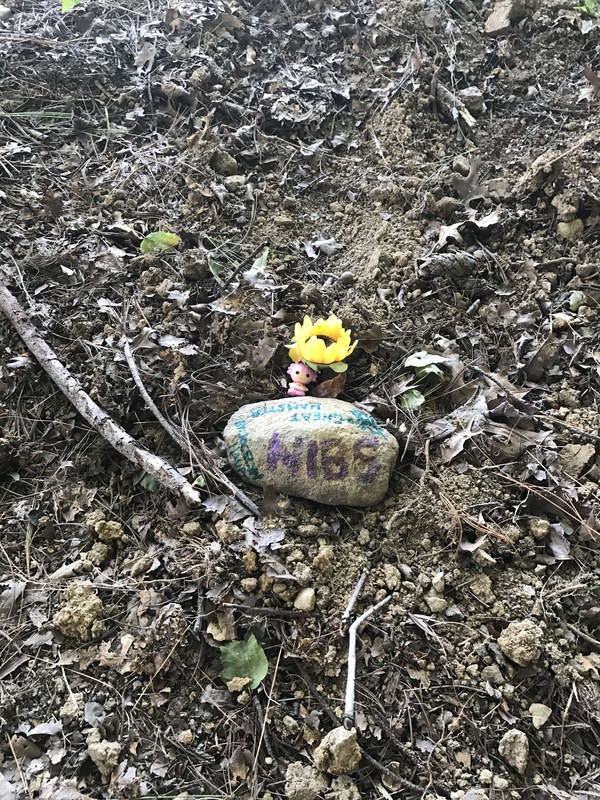 She wanted me to write: “Nibs…great hamster…by Jocelyn.” She insisted on putting one of her prized littlest pet shop toys on his grave. So there in our backyard lies Nibs, a flower, a littlest pet shop toy, and a lot of little 5 year old tears. Rest in peace Nibs. So it’s been a while since I’ve posted. 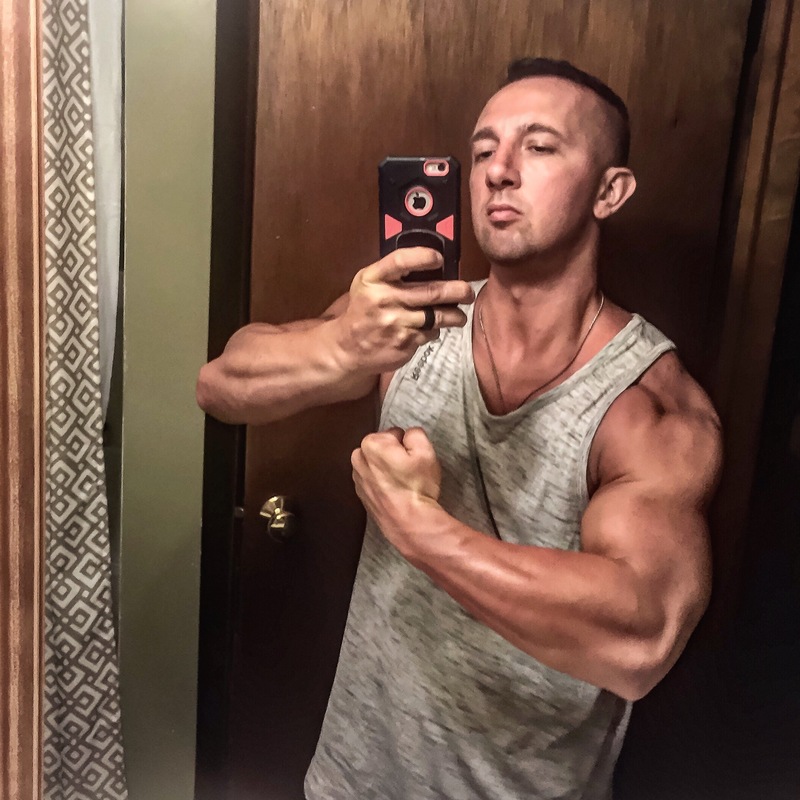 If any of you have read my previous blogs, I’m in the middle of contest prep for my very first NPC Physique competition. 15 days, 1 hour and 56 minutes to be exact. It’s safe to say that I have a completely new outlook on what it takes to be a bodybuilder, or any elite fitness athlete for that matter. I don’t claim to be elite or even a bodybuilder really, but one thing is for sure, I’ve worked my rear off to get to where I am. The picture above is me 1 1/2 years ago in 2015. So how am I progressing? What’s the latest on your prep? For my day job, I work as the Kitchen Director for a Chick-fil-A in PA. This is a job that requires a lot of time, attention to detail, and a love for the brand. One of the perks is I get to eat Chick-fil-A whenever I want. The problem is one would not usually associate meal prepping for a competition with a fast food diet, but I have to make due with what I have. Why don’t you meal prep and take it with you? Sometimes I do. I take a Tupperware container of rice with me on carb days. For the majority of the time though, it’s the restaurants food that I’m eating. Seriously? You’re seriously prepping for a NPC Physique show eating fast food on a daily basis. Yes, yes I am. Here’s how I do it. First, it takes sooooooo much will power to not eat the strips, the waffle fries, or the delicious chilled grilled sub (my favorite item on the menu). It takes so much willpower to not smother my food in Chick-fil-A sauce or Honey Roasted BBQ. But I don’t. I stick with what I know I can eat. My meals usually consist of 6oz of chicken every few hours. Usually I can throw unmarinated chicken on the grill and eat that. If I feel I need a little sugar boost, I’ll throw 6oz of the chilled grilled chicken from the market salad in a bowl. Second, I don’t drink soft drinks or sweet tea. Blasphemous right? No sweet tea? I have a remedy for this too. I carry in my pocket a bottle of Stevia drops found in the organic aisle of most grocery stores. Some unsweetened Tea, add a few drops of Stevia (zero calories and organic mind you) and boom! Sweet tea that is zero calories. If I feel adventurous, I’ll throw in a splash of diet lemonade. For those that aren’t as strict as me and just want to lose a few pounds, Chick-fil-A offers the superfood side that consists of kale and broccolini, fruit cups, or any of the salads that can be purchased with grilled chicken instead of fried chicken. This isn’t meant to be an informercial or an advertisement for Chick-fil-A, it is merely to show that with a little determination, despite working in a delicious fast food restaurant, you can still achieve your fitness goals if you want it bad enough. 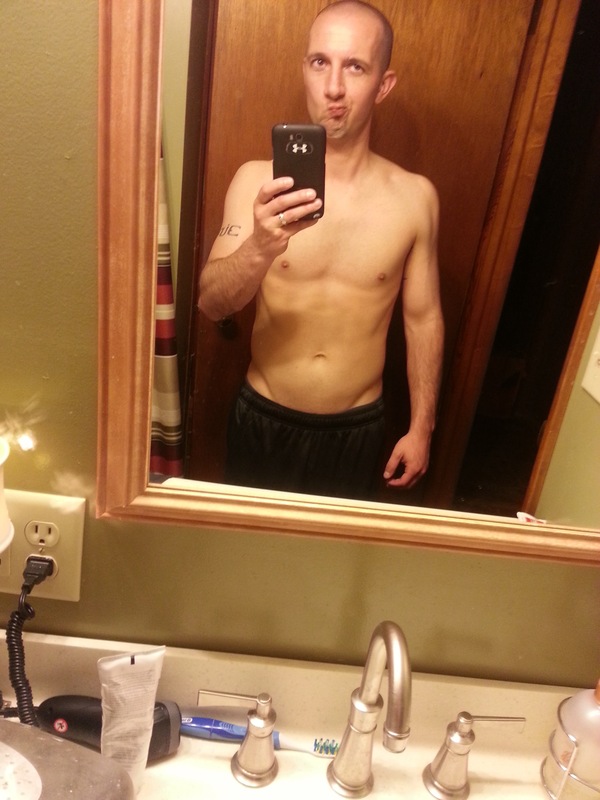 In total during this contest prep, I have lost 23lb and went from 14% body fat to 8.5%. I did this all eating Chick-fil-A twice a day, five days a week. I still got 15 days, 1 hour, and 33 minutes to go til show day. We shall see where I end up. I’m determined to bring my best package to the stage. 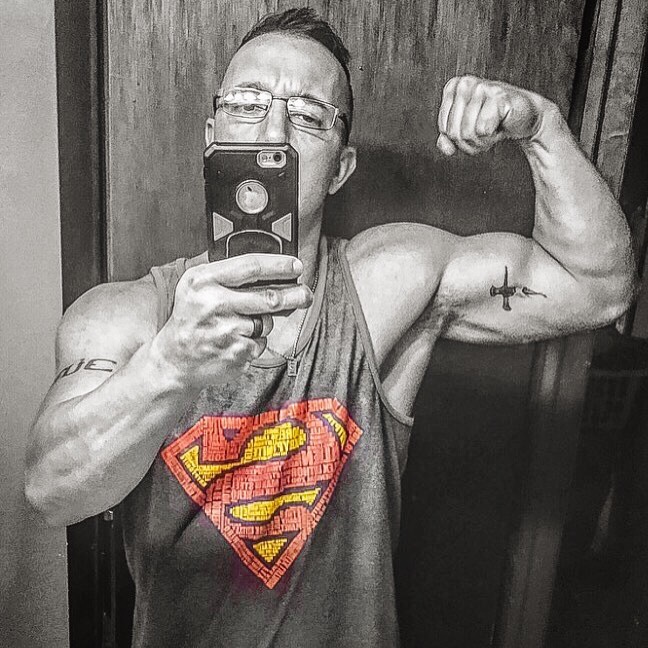 I may not place or be the best physique there, but as soon as I step on that stage, knowing all the hard work I’ve put in and seeing my complete body transformation….I’ve already won. 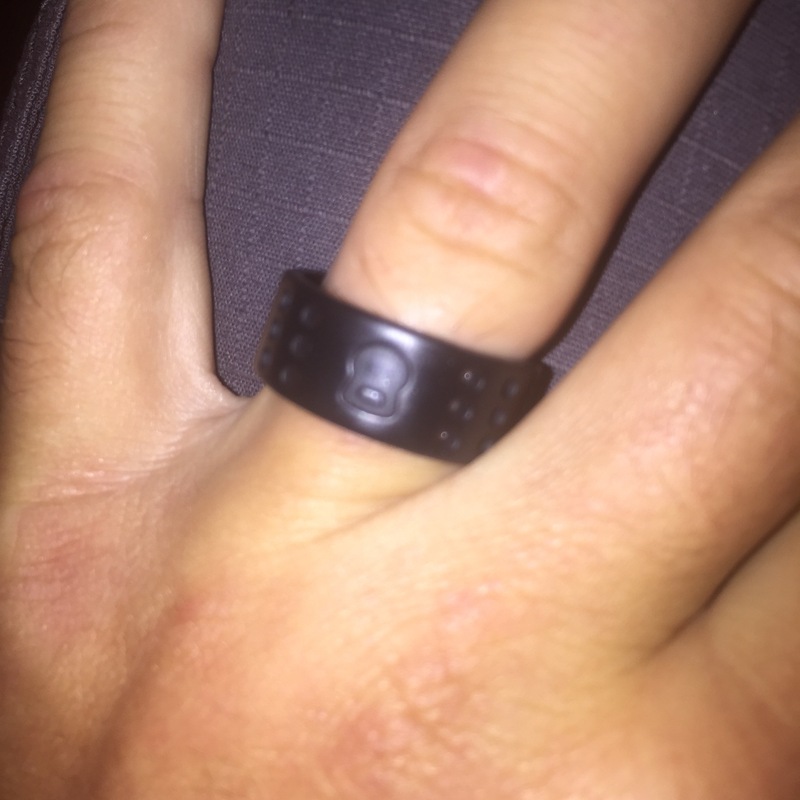 So you guys may have seem my post before on the Qalo wedding band. If you haven’t, you can find it HERE. Ever since I found these wedding bands, I’ve been hooked. I don’t know what I would do without it! So how can they improve upon a good thing? A little bit of a back story – I lost about 45 lb a few years ago. I went from chunky to skinny and my ring no longer fit me. To remedy this, I bought a little contraption that clamped onto my ring to make it fit better. It was the cheapest option compared to resizing and the little metal balls they adhere to the inside. The little clamp pieces worked their way out a little and it was overall uncomfortable. When I started working out, I found the skin being pinched under my ring. I hated that! I would often take my ring off to wear sports because it was heavy and I wasn’t about to have my fingers pinched over a softball bat. Enter Qalo! The silicon wedding band that is comfortable, lightweight, and a fitness lovers friend! Qalo now has a new body style!!! Check it out!!! The little dots are holes in the band that allow breathability in the fingers. The old band, while comfortable, also caused a reaction on my finger much like being in the shower too long. 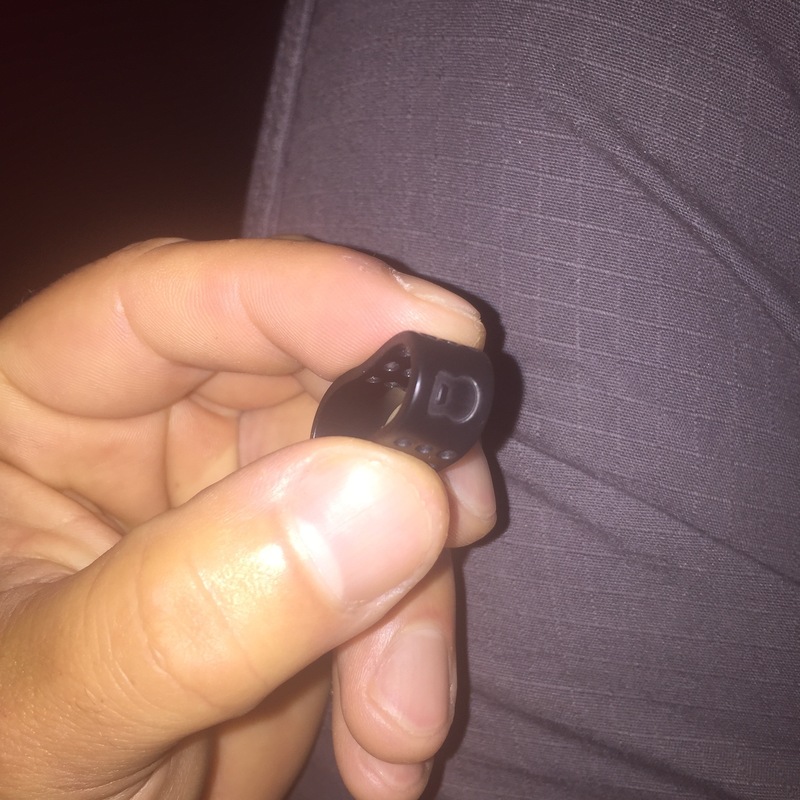 Qalo also made the ring thinner and lighter which makes it so easy and comfortable to wear. Sometimes I even forget I have it on. The silicon is strong, fairly elastic, and stylish. Where Qalo really shines is in the fitness arena. Ever grabbed a dumbbell only to have your finger skin pinched by your ring? No more. The silicon acts as a padding and the elasticity keeps your finger from being pinched. Qalo offers rings in a variety of colors and styles. They have the athletic collection, a glow in the dark collection (I have one of these too, way cool), a neon collection, a couple of sparkly ones for the females, and bands such as the thin blue line and thin red line to support law enforcement and firefighters. They carry both male and female collections for that cutest couple that likes to match. Qalo has my full support in what they are doing. Thanks to them, my MUCH more expensive wedding ring is safely nestled on my dresser in my bedroom. I still really like my original wedding ring, but the practicality and comfort in my active lifestyle puts my Qalo a step ahead. 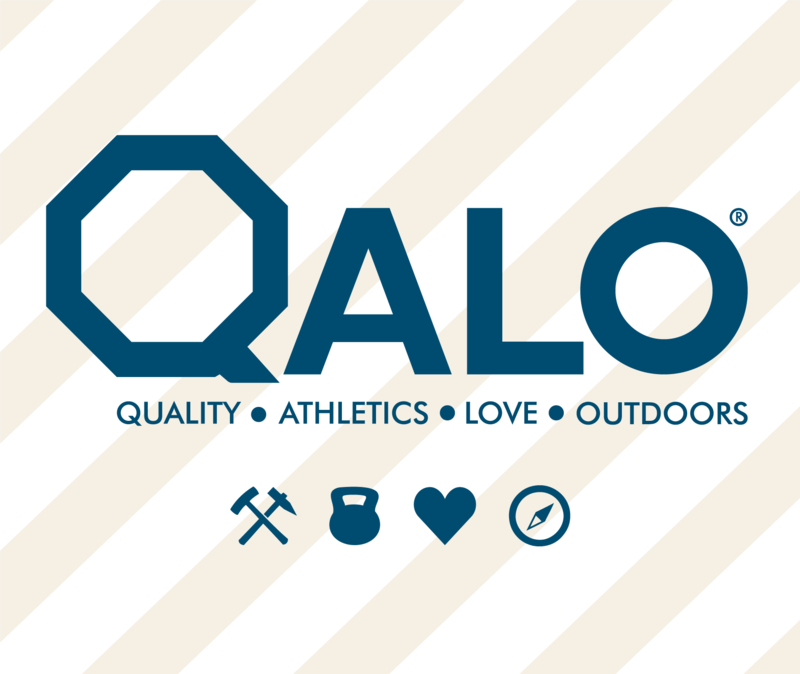 If you’d like to check out Qalo wedding bands, go to Qalo. You won’t be disappointed. *I am in no way affiliated with Qalo. I have received no compensation for this blog. The opinions in this blog are solely my own. I am just a huge fan! If you’re anything like me, you’re always looking for the next big challenge. One of my goals that I had since I was younger was to run a marathon before I was 30. Through some hard work and dedication, I completed the Baltimore Marathon when I was 29 and 8 months. Then I felt like running wasn’t enough so I took on obstacle course racing. I completed my Spartan Trifecta before I turned 31. Now what? I thought to myself, “you know what would be crazy? 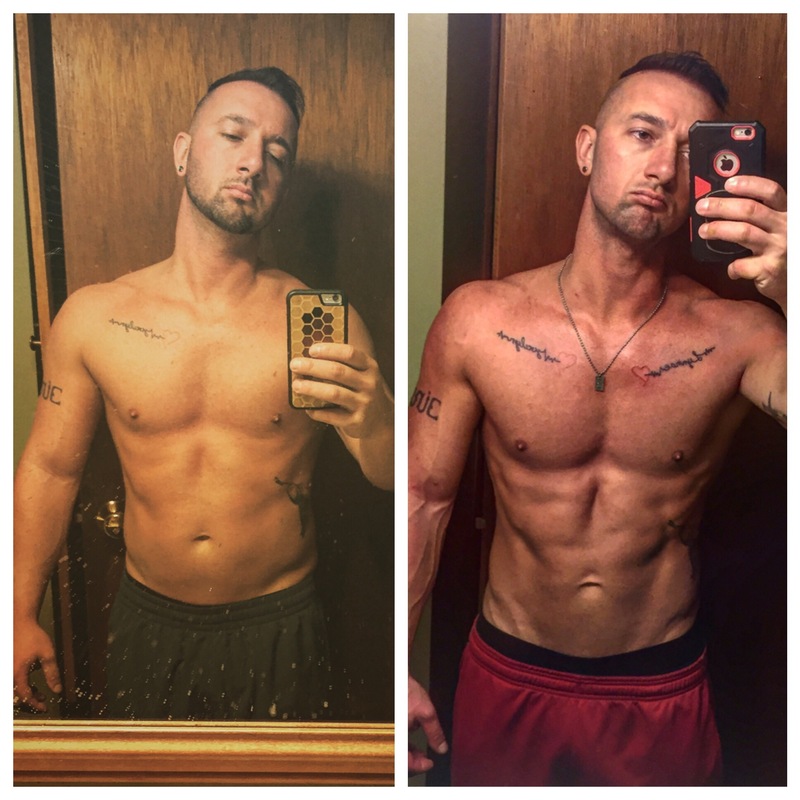 What if you competed in bodybuilding physique?” Yea…this skinny runner guy trying to get swole. Funny right? Look at that skinny dude!!! I was able to ease into things a little bit. I found out really fast that if I wanted to do well at obstacle course races like Spartan Race, I needed to be stronger. So I started lifting weights so I could at least get the sandbags off the ground at the Herculean Hoist. I also found out that I was never going to put on weight running as much as I was. So I cut out cardio almost completely. I also needed to EAT! 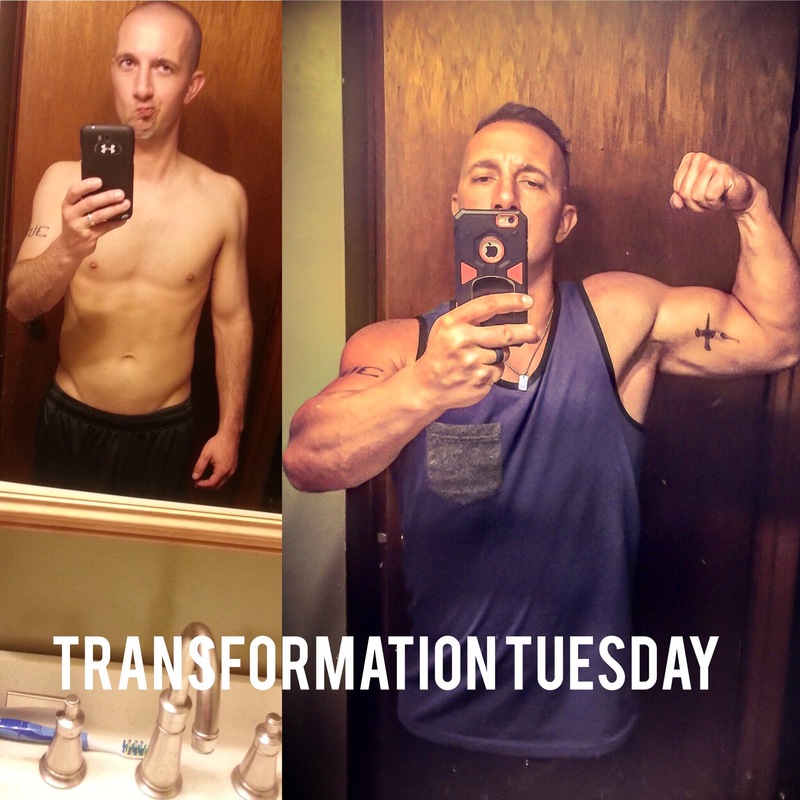 Without a calorie surplus, I was never going to get any bigger. That’s just science. I’ve managed to accumulate a small home gym over the years, so religiously I spent my nights after work down in my basement. Sometimes I was down there at midnight finishing at one in the morning. I chose this because 1) I don’t to compromise time with my daughter and 2) I worked late and it was my only choice. A year and a half has gone by since I started this journey. 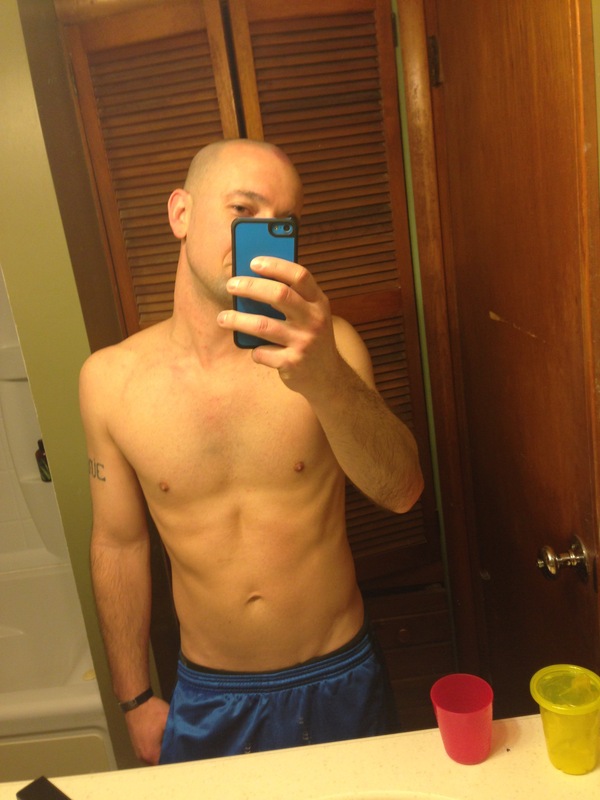 I put on 35lb and managed to keep a relatively low bodyfat percentage in the mid teens. So now what? No one is going to do well in a physique competition with bodyfat in the mid teens. So my cutting diet started six weeks ago. I put myself on a strict macro calorie diet. I’ve lost 10lb in those six weeks, most of prob water weight. I have a limit for how many carbs and fat I can eat per day as well as maintaining a caloric deficit. I’ve managed to cut out all foods with added sugar completely. I’ve also put cardio back into my routine to work on getting cut. The trick is losing weight at about 1-2 lb per week. This is so I can lose bodyfat without losing muscle mass. 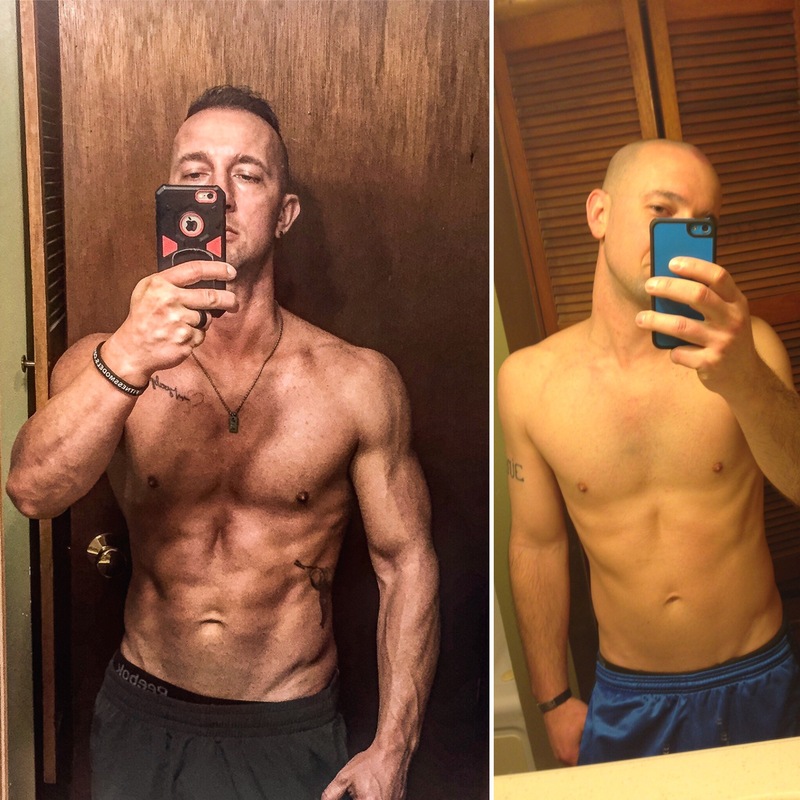 I’ve done hours of research on this and I’ve managed to get sponsored by a local tanning salon which has a team that competes in bodybuilding competitions. Those guys have been a tremendous resource and inspiration to me and I hope to make them proud. Sticking to a diet that leaves me absolutely exhausted and without pizza has been killing me. This isn’t a post to boast about myself. I’m not looking for pats on the back. My goals are just that, MY goals. I set out to do something that seemed impossible for me at the time. It isn’t until I look at myself from a year and a half ago that I realize how far I’ve come. Maybe there’s a goal that you’ve always wanted to achieve. Maybe there is that one thing you’ve always wanted to do but it seems impossible. I think anything is possible if you are willing to put in the work to get there. If there is one thing that Spartan Race has taught me, it’s that your body is capable of far more than you give it credit for. On October 1, I step on stage for my first ever physique competition. I hope I do well, but even if I don’t, I will know that I accomplished something far greater than any trophy or medal. I will have done what seemed impossible for me. AROO!